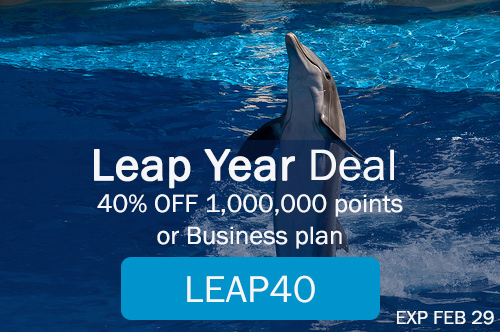 40% OFF Leap Year Deals for 1,000,000 Points and Business Plan! For a limited time only, you can get 1,000,000 points for $40.8 or Business plan for $17.4 for the first month. You can SAVE $27.2 or $11.6 on each order! This special offer is active now and will expire on Leap Day (February 29th).